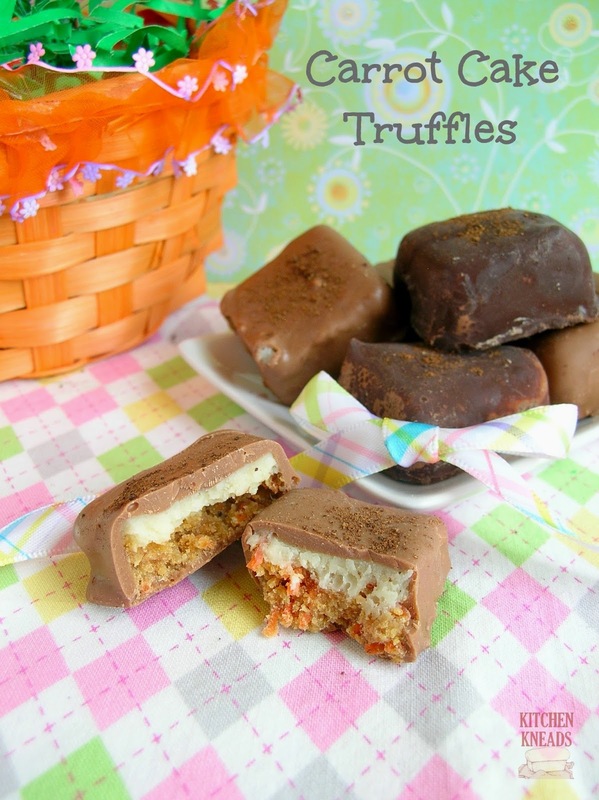 If you like carrot cake, you’re going to love these carrot cake truffles. At first I thought this was just about the strangest candy you could make. It wasn’t until I tried one that I realized just how good they are. I was hooked. They taste just like carrot cake with cream cheese frosting, but with some added chocolate. They’re delicious. This will make a perfect Easter party treat. And a unique one at that. Everybody (at least, everybody who likes carrot cake) will love these. Blend all ingredients together and spread 3/8" thick on parchment paper. Top with 1/8" thick layer of Cream Cheese Ganache (recipe above). Cover and chill overnight to firm. Flip over and peel away parchment and apply thin bottom of tempered chocolate. Cut into 1" squares and dip in Peter's Ultra milk chocolate (or Peter's chocolate of choice). Decorate with a sprinkle of ground allspice.